In a world of paper or plastic, Rob-See-Co is still happy to do business on a cash basis. In fact, we offer an early cash discount to growers who prepay for their purchased corn and soybean seed using cash or a credit card (alfalfa does not qualify). Rob-See-Co cash discounts are some of the most competitive available today in the market. 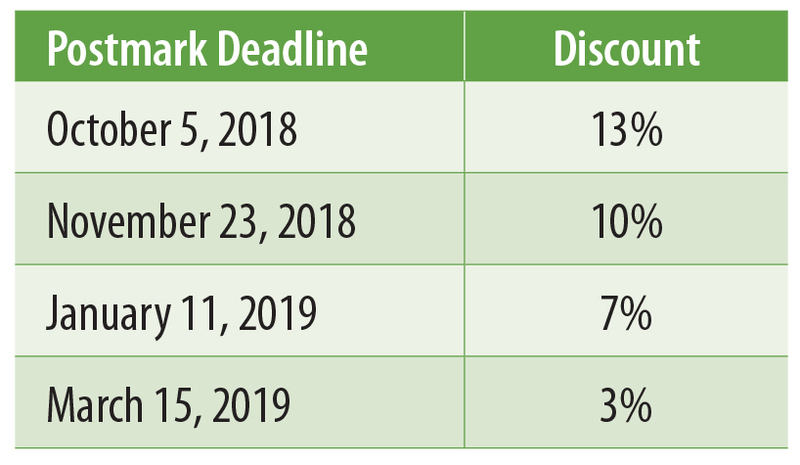 The chart below shows you the discount based on payment deadlines. The balance of the account is due July 31, 2019. The cash discount is calculated after all other incentives have been applied. Of course, the sooner you pay, the more you save. Credit card payments are now accepted by Rob-See-Co through our website and will include a 3% processing fee. Click on the link below and complete the form to submit a payment online.